Animated Features for Fall of 2017! This was a big year for animation, but the year isn't over yet! There's still quite a bit that will be released before the end of the year. Here's a list of just a few of the one's coming out this fall! Released by Warner Animation Group and animation produced by Animal Logic, The Lego Ninjago Movie will be in theaters today, September 22, 2017! It's based off the toy line, and a spin-off on 2014’s “The Lego Movie”. Lego Ninjago is an animation about the “Green Ninja”, who is being trained by Master Wu to defeat “The Worst Guy Ever”. All the other secret ninja warriors help “The Green Ninja” plot against his father. Lionsgate will release the "My Little Pony" movie on October 6, 2017! It was Directed by Jayson Thiessen from a screenplay written by Megan McCarthy, and produced by Allspark Pictures and DHX Media! Twilight Sparkle, Applejack, Rainbow Dash, Pinkie Pie, Fluttershy and Rarity, or the Mane 6, use the magic of friendship to help them on their quest to defeat The Dark Force’s threat on Ponyville! 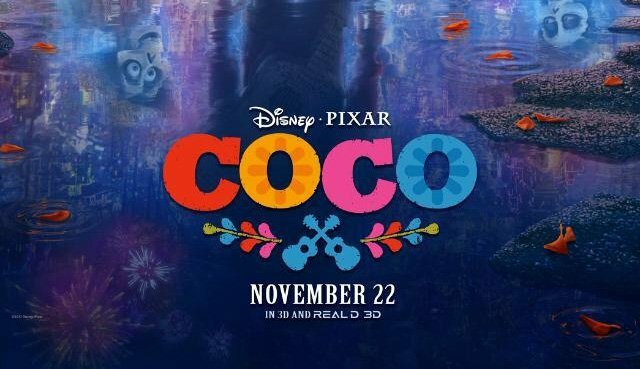 Director Lee Unkrich and so many other talented co-directors, producers, voice actors, and more from Disney and Pixar have been working on "Coco" for years! The Día de los Muertos themed animation that will be released a little bit after the holiday on November 22, 2017! His drive to prove his talent as a musician gets Miguel in a bit of a mix up. But, it does not stop him from undertaking a journey with his two friends to find out about his ancestor’s ban on music. Based off “The Story of Ferdinand” by Munro Leaf and Robert Lawson, 20th Century Fox and Blue Sky Studios bring "Ferdinand" to big screen on December 15, 2017! "Ferdinand" is directed Rio helmer Carlos Saldanha, with John Cena as the voice of Ferdinand. We get to follow a giant bull through his adventure in Spain! Don't let his size fool you though, he is actually just trying to get away from his captors and home to his family. A gentle giant that proves that appearances are often misleading!